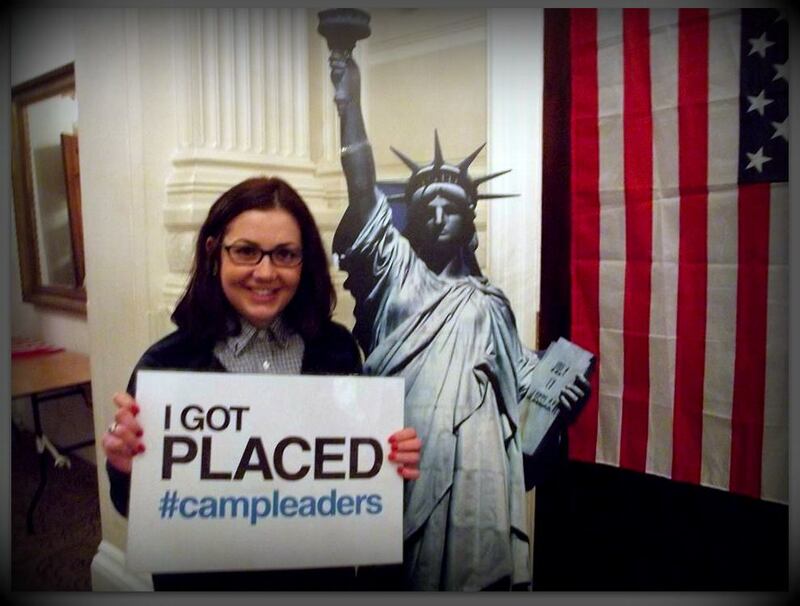 My geeky self @ the Camp Leaders Job Fair, London. I found out about Camp Leaders about two years ago, when they were invited to Coventry University to talk to us about other options we had – to make our summer an unforgettable one. The guys that came were so open and made the whole process look so easy. When they were playing one of those awesome videos from camps, it reminded me of the summers I’ve spent as a camper and how much fun I used to have. I decided then that this summer camp thing is something that I would like to do. And I did it. Right, a bit obvious, but it took me a long time to make this decision, let fear go and just go with the flow! 2. Do your research! There is plenty of information on the internet, plenty of people sharing their opinion and thoughts on summer camps and on how to built a strong application (mentioned above). I think research is important because it will give you an inside into daily activities. One of my personal favourites is this Buzzfeed article that my camp director shared with my FB group. I suggest you read it, it will get you all hyper! 3. Go to a job fair! Once you’ve got your profile sorted, your fees are paid, book a day at the job fair. That’s what got me and few other hundreds (thousands maybe?) a job in an awesome place – Indian Head Camp. This day was also made easier by the superstars at Camp Leaders, who got us all hyped-up. They also gave us weekly updates with the camps that were coming to the job fairs, so we could do our research and decide where we want to be placed! Again, research, research, research! And don’t expect a formal interview, formal dressing or formal answers! Camp directors are the coolest kids around the block, if I must say (wink; you welcome). As a bonus, you get to spend your day in a place like this. 4. Attend your Training Day. It’s a legal requirement from the American Embassy, but such a fun day! You’ll learn the basics regarding all the things you need to get ready, meet lots of interesting people, but also, the highlight of the day – a day filled with songs and games! Just to get you in the mood for summer camp! More on Training Day on a later post. 5.Social media, baby! Once you get Placed, all your social media networks will help you connect with the other fellows counsellors, but also keep up-to-date with any news from your camp. One piece of advice: please, please, please! clean up those FB or Twitter profiles! Remember, as a Camp Counsellor, you are now a role model. No one wants to know about those crazy adventures at night or how your friend stumbled on the club fence and fell (or anything like that). Time to be responsible. Also, every camp will have different policies regarding use of social media whilst working there. Be sure you read your contract and any updates regarding the topic. Camper’s privacy is an important aspect you need to keep in mind. Those were my 5 tips for getting Placed. If you have anything else to add, feel free to leave a comment! Feedback is appreciated.